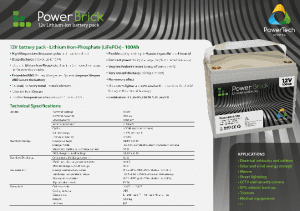 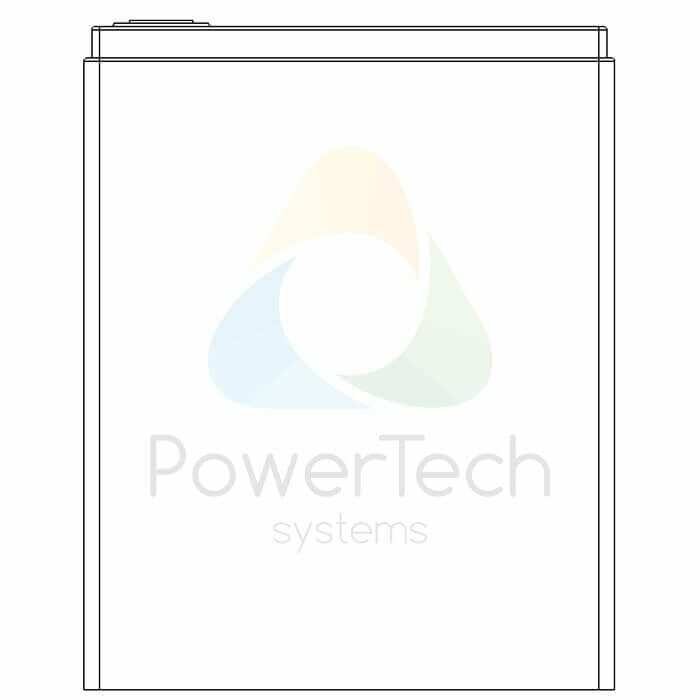 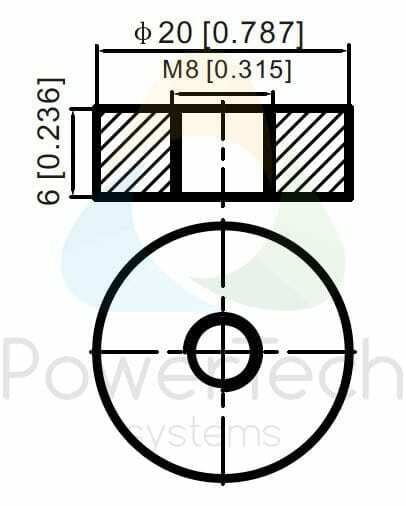 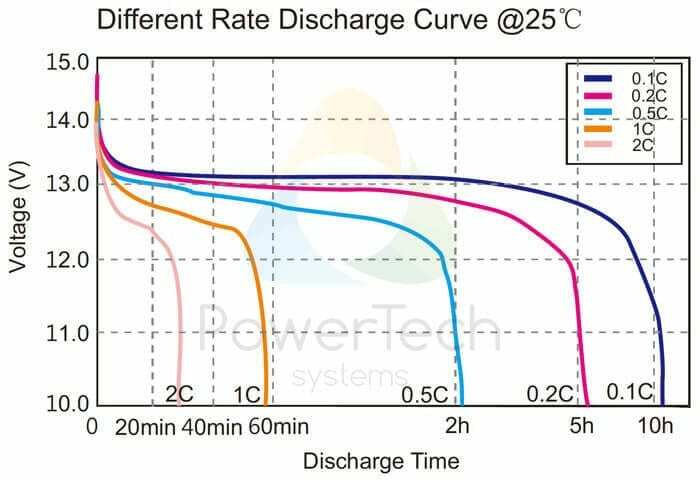 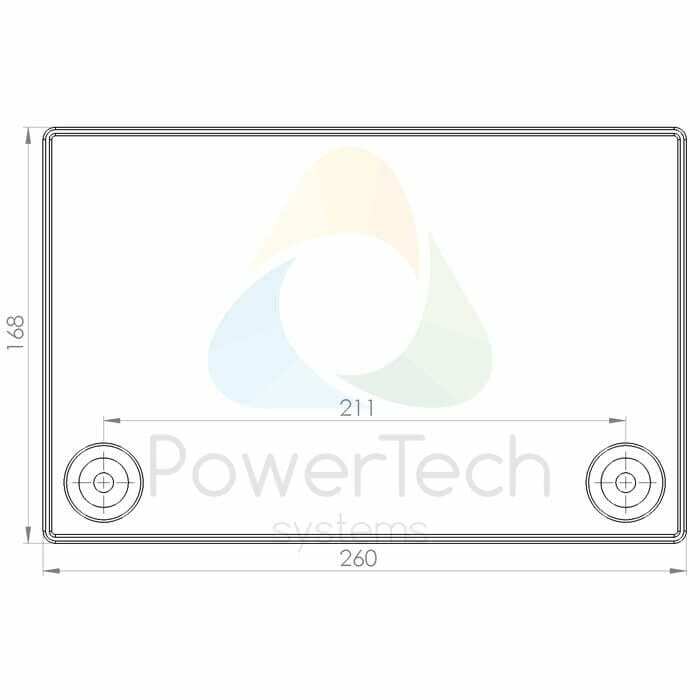 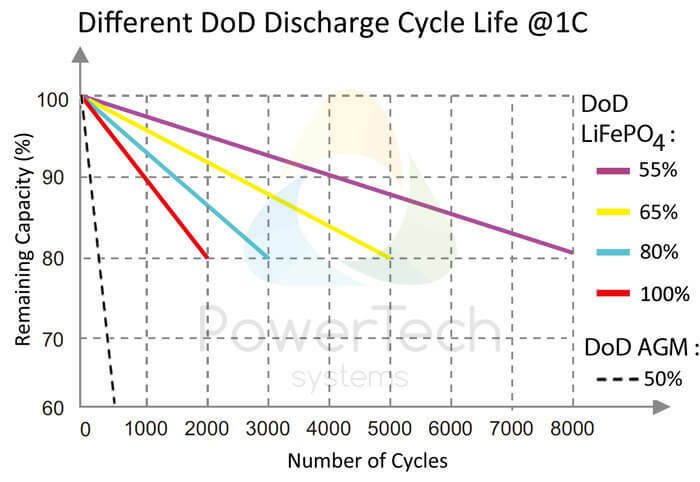 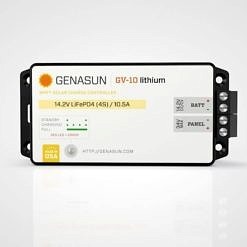 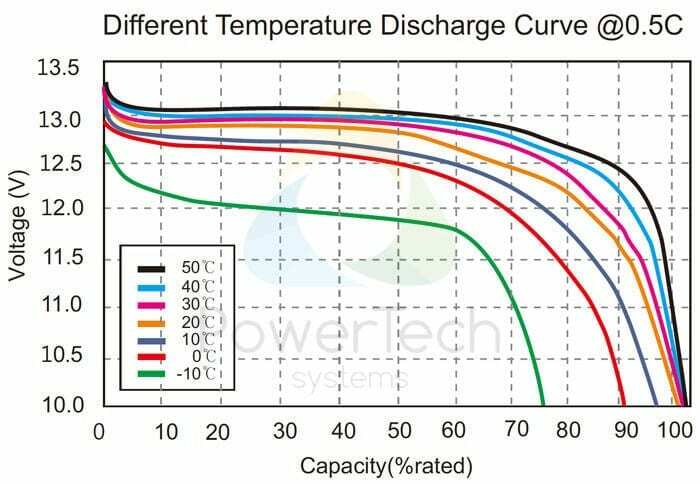 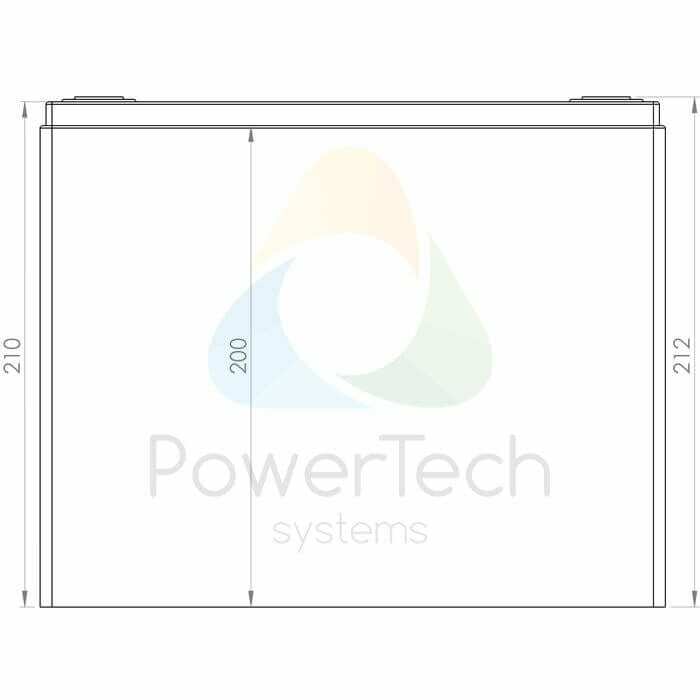 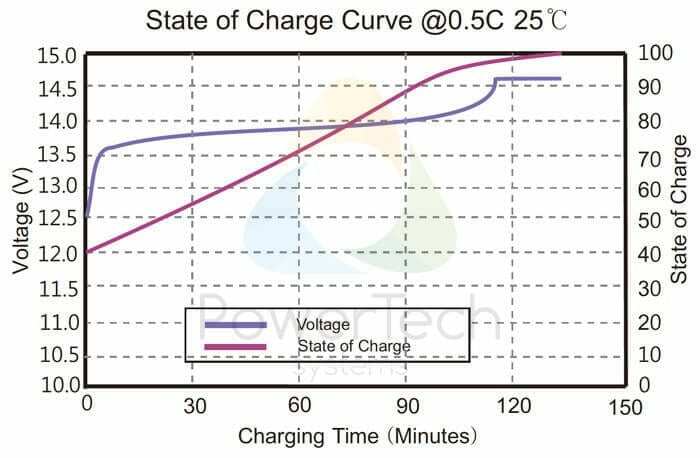 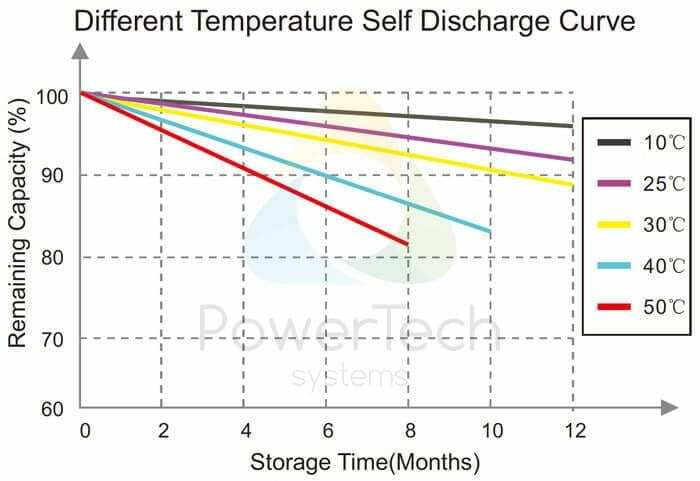 This Lithium-ion 12V-100Ah battery has been designed thanks to the know-how of PowerTech Systems, french company specialized in the conception of high performance lithium-ion batteries. 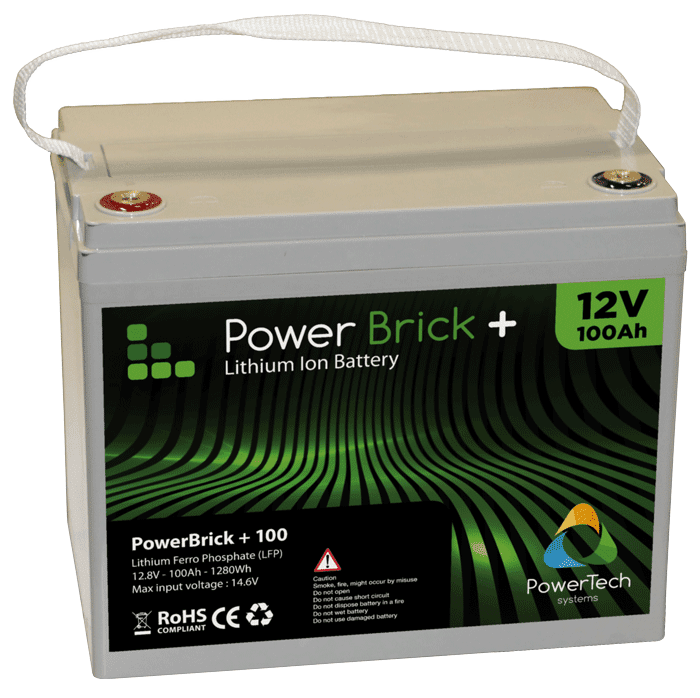 The PowerBrick® 12V-100Ah battery offers a high level of safety through the use of cylindrical cells using Lithium Iron Phosphate LiFe (LiFePO4) technology. 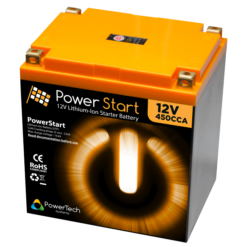 the battery embeds an innovative control system (BMS, Battery Management System) that ensures a very high level of safety during operation. 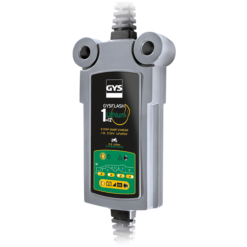 The BMS constantly monitors and balances the cells of the battery. 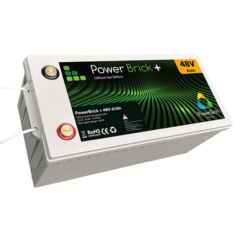 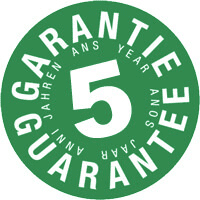 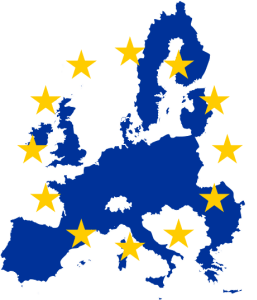 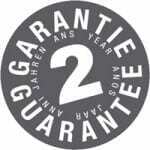 BMS also protects battery from misuse and increases its lifespan. 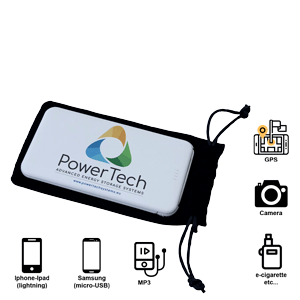 The 12V-100Ah lithium battery is protected by a waterproof ABS case that resists to water projection and dust (IP55 for PowerBrick® STANDARD battery or IP66 for PowerBrick® PRO+ version). 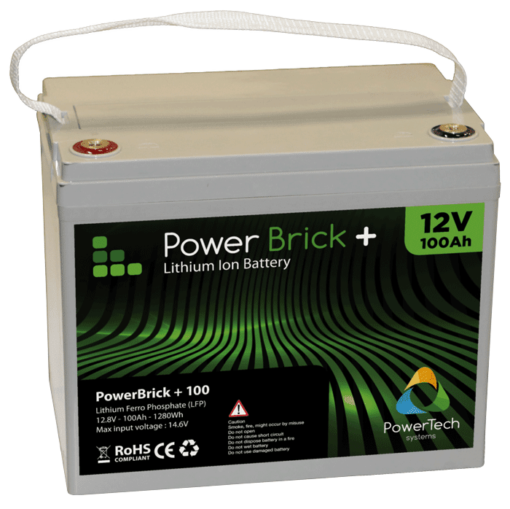 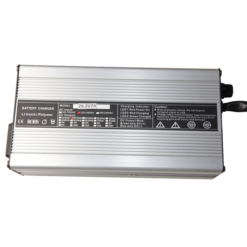 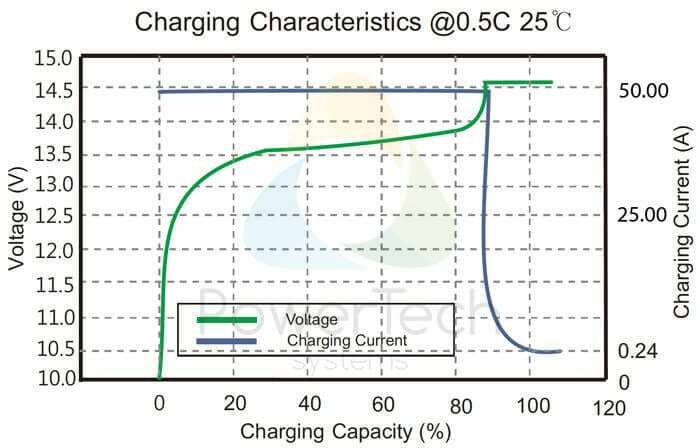 Each PowerBrick 12V-100Ah lithium battery has a nominal voltage of 12.8V. It can be connected in series (up to 4 batteries in series) and in parallel (up to 10 batteries). 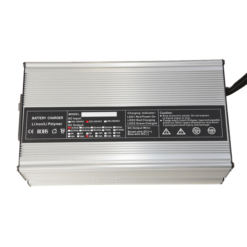 Thanks to its technology, the PowerBrick 12V-100Ah battery can be installed in any position (lying on the side, upside down, etc.). 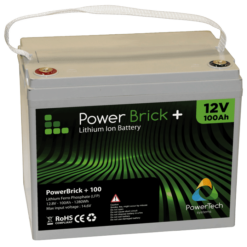 The PowerBrick® 12V-100Ah is designed to drop-in replacement of old generation Lead acid batteries. 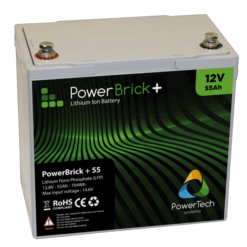 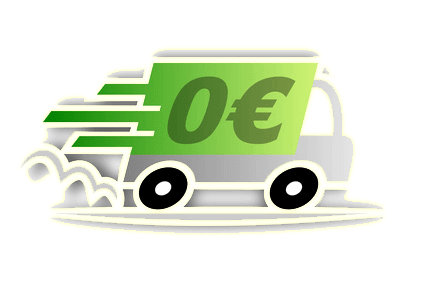 VRLA and AGM batteries provides poor performances and are harmful for the environment through the use of heavy metals and acid electrolytes. 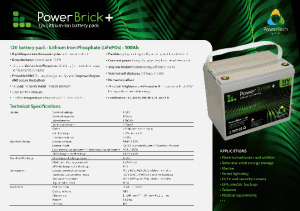 This is a very nice product because very small compared to other LiFePO4 battery we can find over Internet. 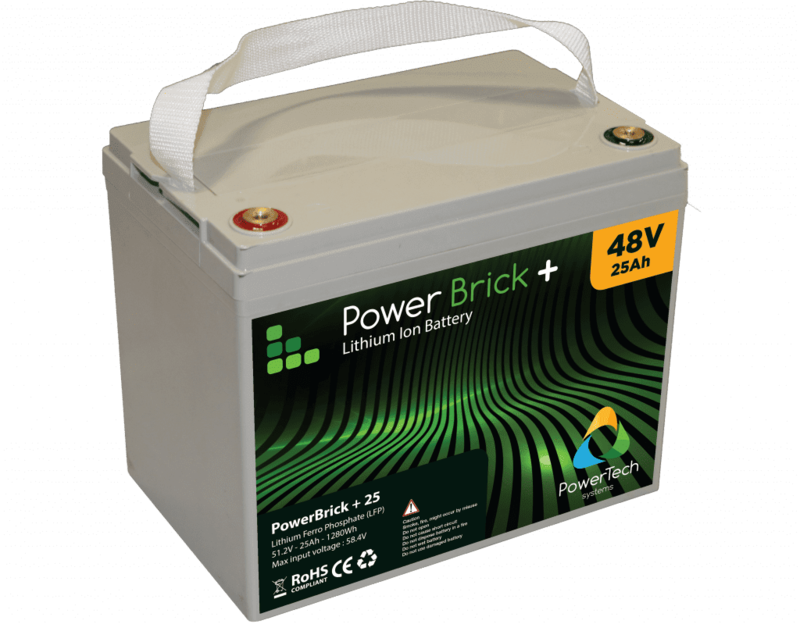 I use it in my camper van (3 items in parallel) to replace six heavy AGM batteries. 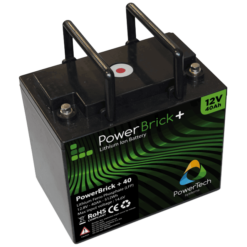 High energy, lightweight and small size. Perfect for my need. 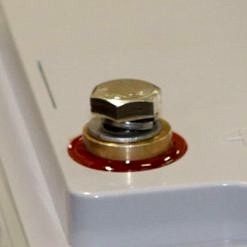 I warmly recommend.